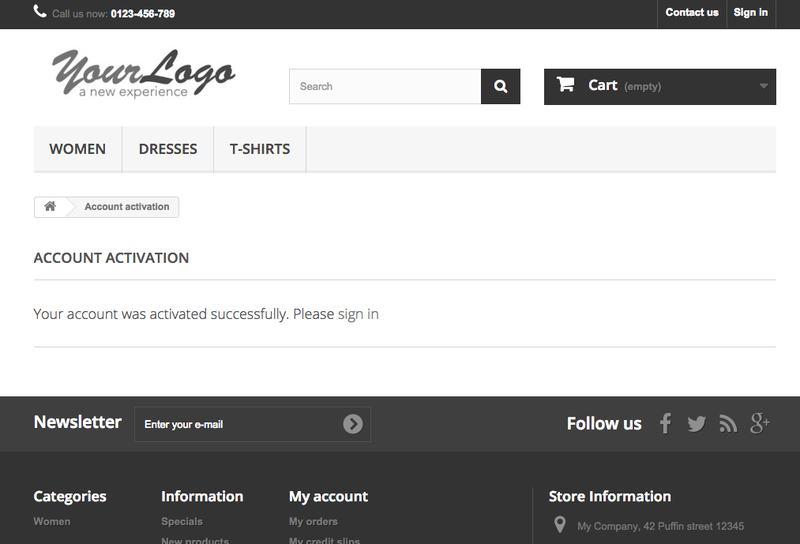 During registration, a verification email is sent to your new customer containing an activation link! 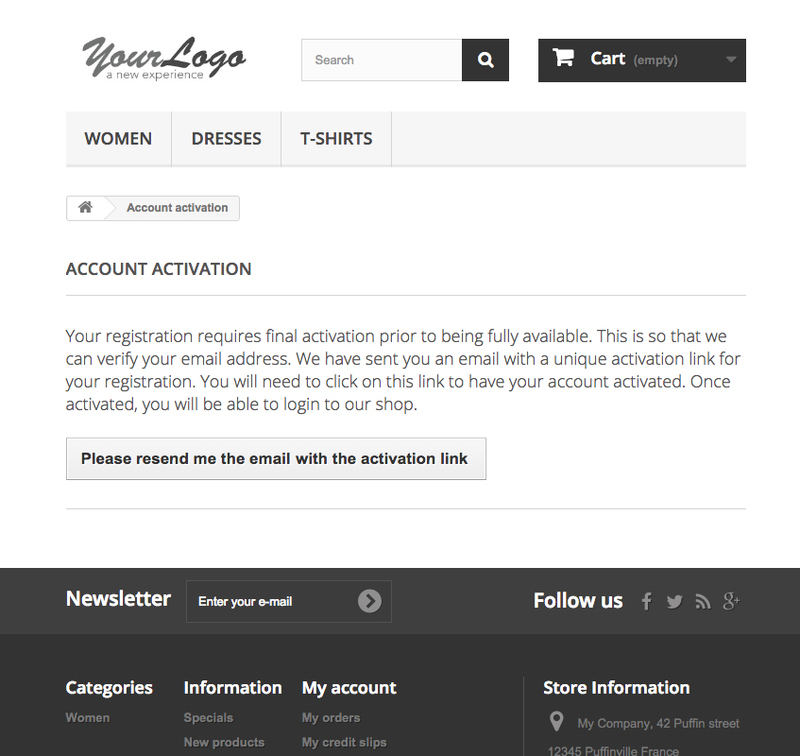 At the end of registration your customer is prompted to check his email account in order to activate his account! 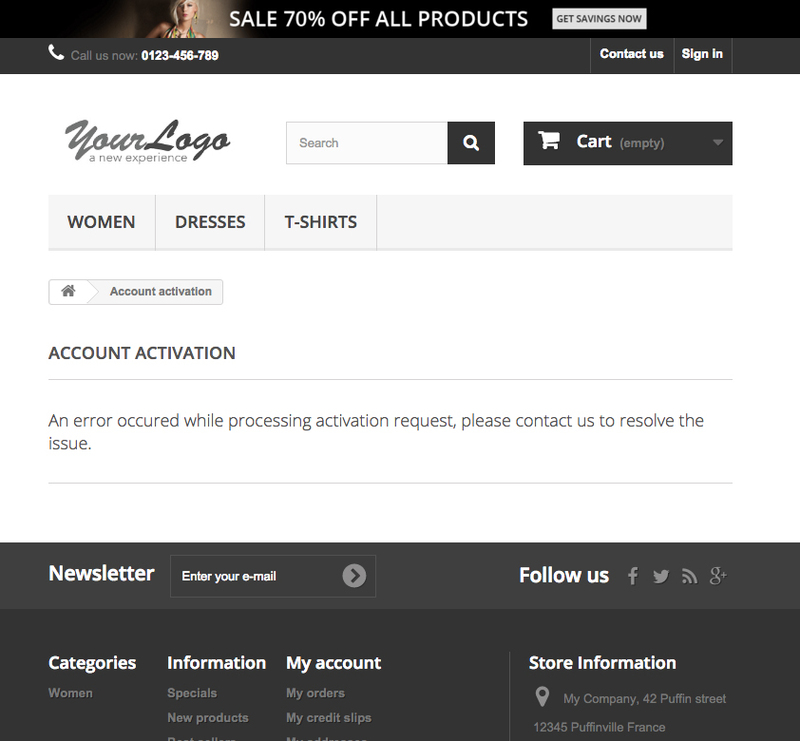 Otherwise, the account remains inactive and your customer is informed respectively when he/she attempts to login! 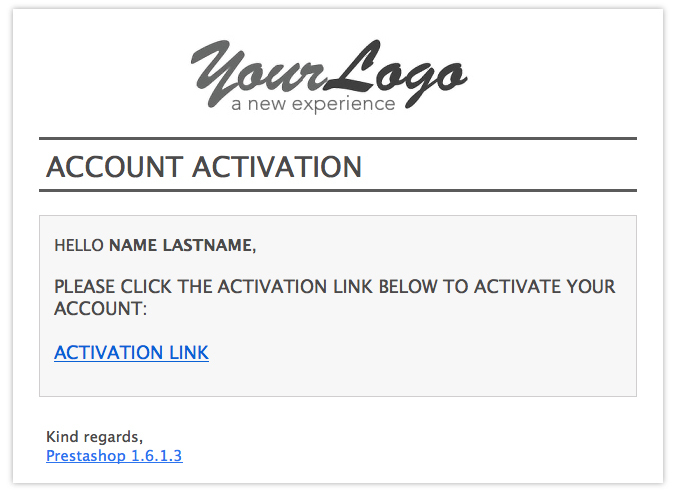 But what about clients that miss their activation email? We have already thought of them! 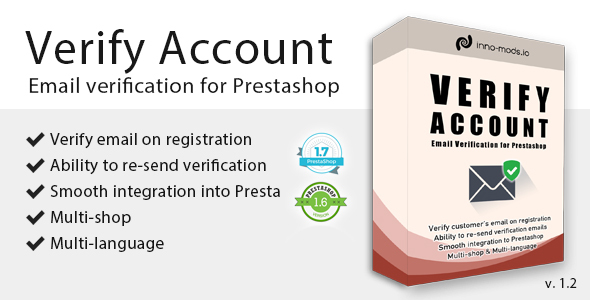 Verify account allows you, the administrator, to resend as many verification emails as you want, in order to easily allow even the least experienced customers to activate their account! 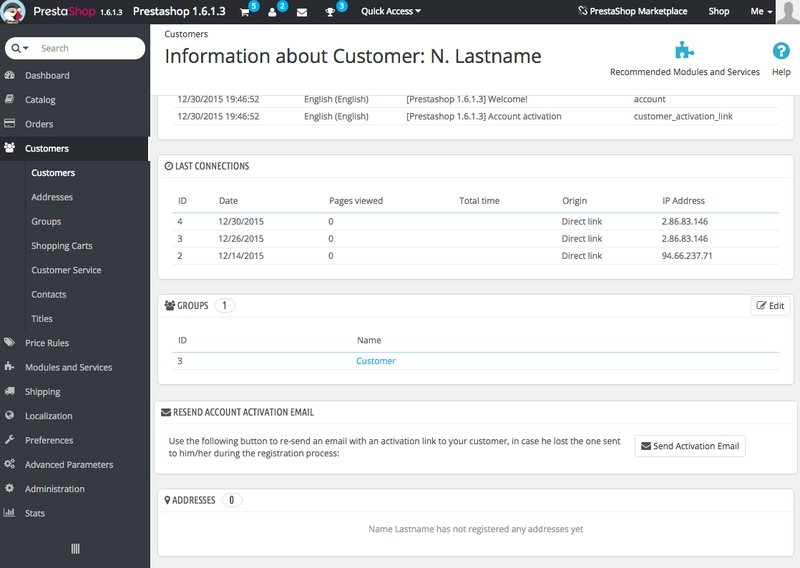 Moreover, you can activate/deactivate your customers manually through the default Prestashop admin, in case you want to bypass the email verification procedure. 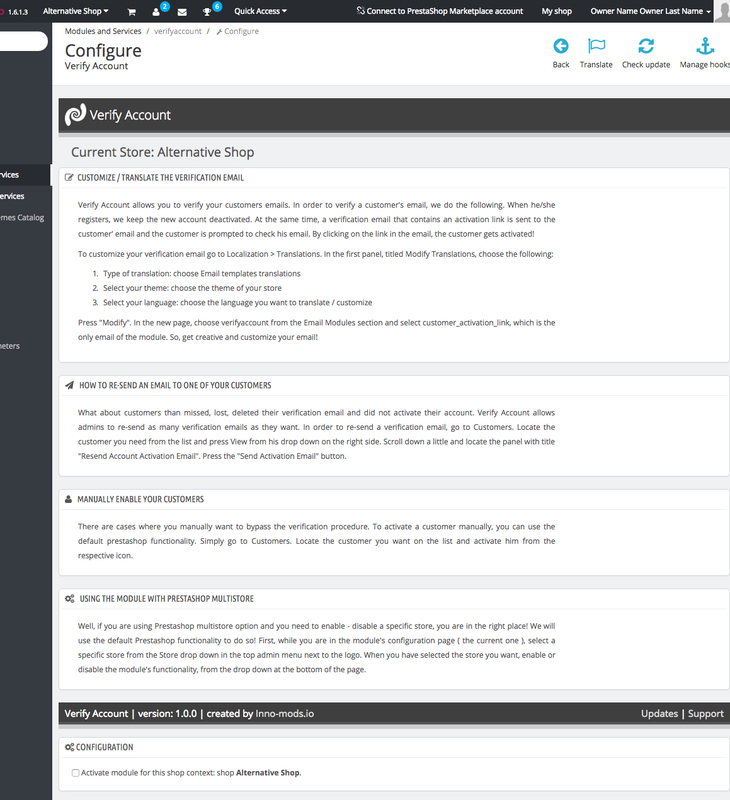 Get started with Verify Account, and keep a clean list of your clients email addresses!